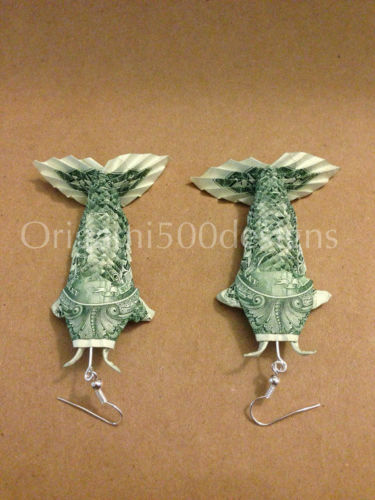 $19.95 you can give a try though. 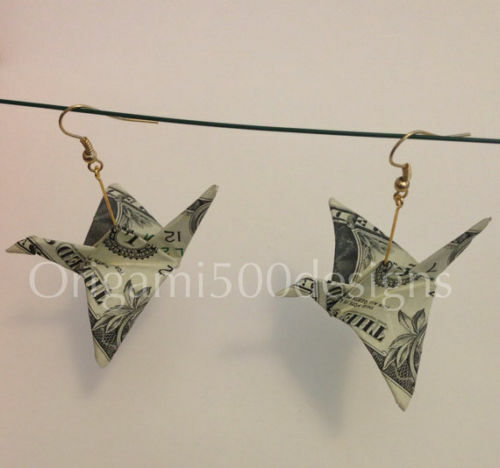 Swan bill origami earrings - you probably fun of animals origami, you can try this awesome birds origami. 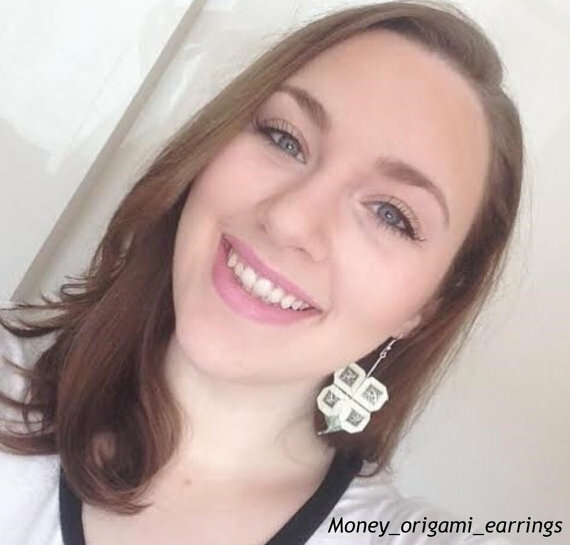 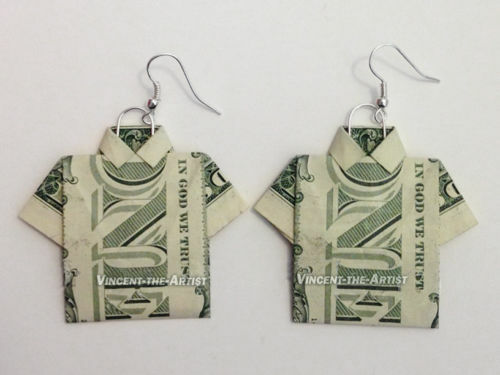 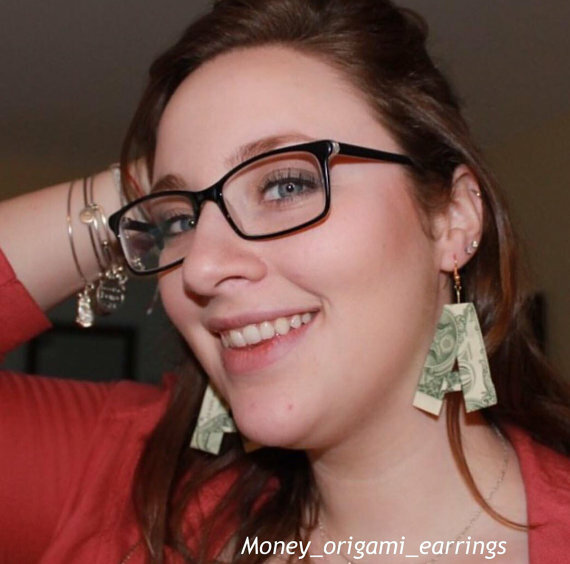 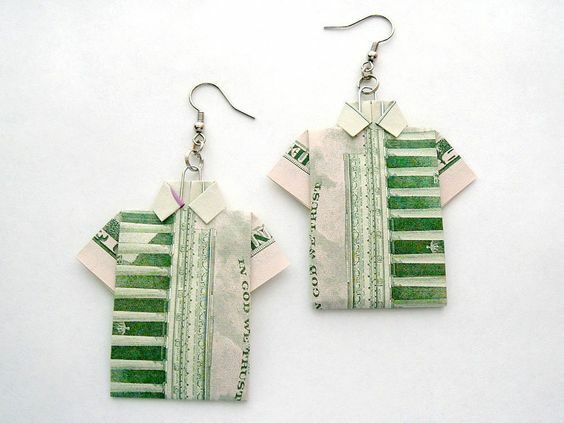 There are still plenty of dollar bill earrings out there if you want to share your own work, you can upload it here in the comment section.